No progress in talks for Religous Zionist parties to run together as Smotrich, Rabbi Rafi Peretz cannot agree on who will lead faction. A two-hour meeting on Thursday between the Jewish Home and National Union parties to negotiate a joint run in the April elections ended without any progress. Key to the disagreement is who would lead the party should the two factions unite. Rabbi Rafi Peretz, who heads the Jewish Home, insists on leading the united list, getting the most senior ministerial portfolio in the event of joining the coalition, and has refused to equally divide up places on the Knesset list between the two parties. The Jewish Home negotiating team is headed by Nir Orbach and MK Nissan Slominsky. The National Union's negotiating team includes Israel Zeira, Avihai Boaron and Ophir Sofer. The stalled negotiations come despite heavy pressure from the Religious Zionist community to agree on a joint run amid polls showing that both parties would fail to cross the electoral threshold should they run alone. 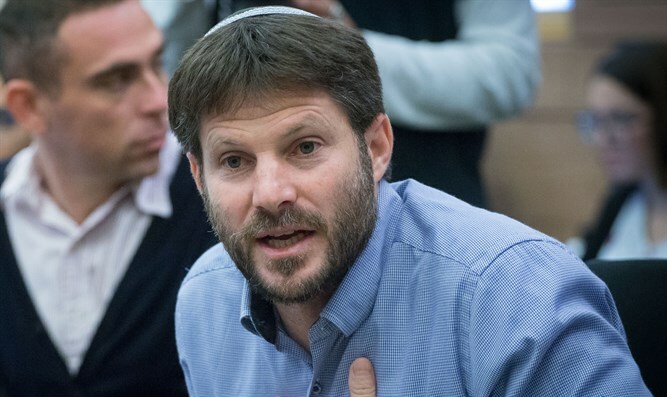 A recent poll found that National Home leader Betzalel Smotrich is the clear favorite among the Religious Zionist community to lead any merger with the Jewish Home. One-third of the respondents said they would vote for the united list if Smotrich leads it, while only 24.3% will vote if Peretz is number one. Assuming that only the National Union and the Jewish House will run on a joint list, Smotrich received support from 11.8% of voters, while Rabbi Peretz getting only 8.6%. The survey appeared to dispel concerns that Smotrich is pushing away more moderate religious Zionist voters.